‘A day without smiling is a day wasted’, said the legendary icon, Charlie Chaplin, who ruled the silent-film era with his slapstick yet satirical comedies. 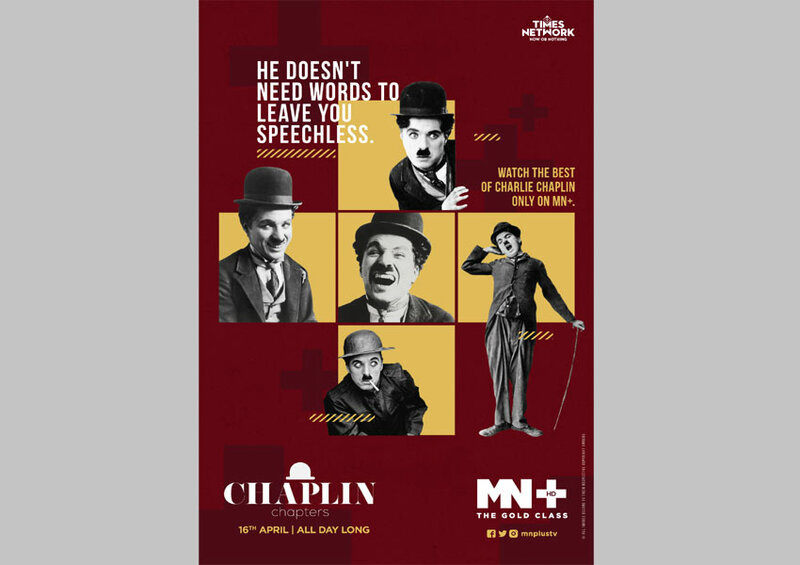 To celebrate and honour the 130th birth anniversary of this illustrious entertainer, MN+, the gold class of Hollywood Movies brings to its viewers, ‘Chaplin Chapters’, a special property featuring handpicked movies of Chaplin’s cinematic brilliance. On April 16, 9am to 9p.m., MN+ through the property, ‘Chaplin Chapters’, will showcase Chaplin’s masterpieces including A Day’s Pleasure, Payday, Sunnyside, Shoulder Arms, The Pilgrim, The Kid, The Circus, The Goldrush, City Lights , Modern Times and The Great Dictator. Charlie Chaplin’s poignant and hard-hitting iconic motion movies continues to be a strong influence in film-making around the world. A gold-class artist like Charlie Chaplin truly deserves a gold-class tribute by MN+.